THE SOFTWARE & INFORMATION INDUSTRY ASSOCIATION NAMES MATHBRIX AS "A STARTUP TO WATCH"
MathBRIX Co-Founder/COO, Tyler Schwartz, demonstrated our product to investors and industry leaders at The Conference in San Francisco. The SIIA is the principal trade association for the software and digital content industry. Its Education Division serves and represents more than 180 member companies that provide software, digital content and other technologies that address educational needs. The Division shapes and supports the industry by providing leadership, advocacy, business development opportunities and critical market information. Throughout history, authors, entrepreneurs, and inventors have shared their thoughts on innovation, a concept often defined as the intersection of creativity and technology. Those elements are at the heart of the solutions developed by companies selected for the National School Boards Association’s annual Technology Innovation Showcase. Read full article here. MathBRIX Co-Founder/COO, Tyler Schwartz, recently presented at the NSBA’s national conference to a packed room. "NSBA has worked at the intersection of education technology policy and practice for more than three decades to bring entrepreneurs, school board members and district leaders together to discuss innovative solutions that can support public education," said Thomas J. Gentzel, NSBA Executive Director & CEO. Read the NSBA press release here. "This new partnership will give Parents as Teachers and Mathbrix a unique opportunity to provide thousands of parents visual and hands-on ways to build their child’s math foundations, right from the start," Constance Gully, president and CEO of Parents as Teachers National Center, said in a statement. "With Mathbrix's technology, our programs can be extended exponentially. We can reach tens of thousands of families in addition to those served by our evidence-based home visiting model." Read full article here. When the St. Louis Startup Roadshow landed in New York, Chicago and San Francisco in September, local startups weren’t sure what to expect. 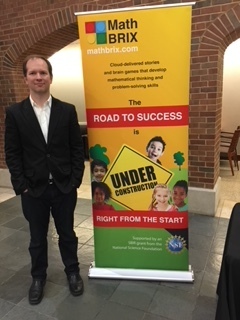 The Roadshow, hosted by the St. Louis Regional Chamber with Accelerate St. Louis, Ernst & Young, Southwest Airlines, Thomson Reuters and T-REX, took some of St. Louis’ most promising technology startups to private events in New York and Chicago and TechCrunch Disrupt - San Francisco. Are investors interested in St. Louis startups? The answer: a resounding yes. Read full article here. 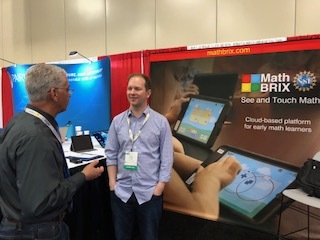 MathBRIX has been selected as one of the up-and-coming EdTech startups and has been given the opportunity to participate in the Annual Conference of the International Society of Technology Educators (ISTE). Approximately 9,000 teachers, tech coordinators and principals will be in attendance. In 2017, the event sponsors were AT&T and the National Science Foundation (NSF). Read full article here. "The ultimate goal of Capital Innovators is to identify great startups to invest in to catalyze innovation," says Brian Dixon, COO. 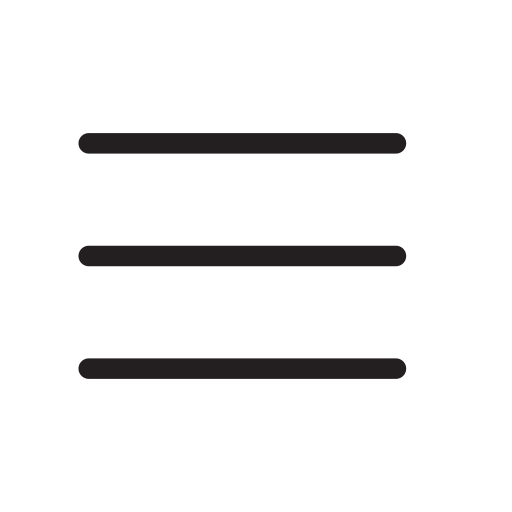 "When we combine first-in-class startups with our hands-on, high-touch program, it provides an excellent recipe designed to grow startups quickly. This combination continues to produce a positive networking effect that attracts entrepreneurs building great businesses year after year and we’re thrilled at the international mix of companies we’ve selected." Read full article here. 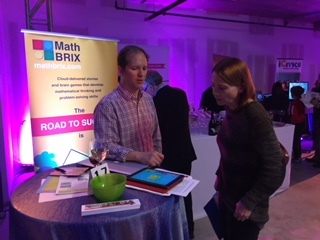 "We are thrilled to be part of the Department of Education's Ed Games Expo," said Bettie Schwartz, CEO of MathBRIX. 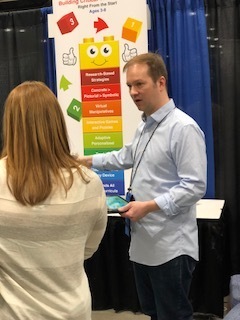 "In addition to the opportunity to demo our product to students, teachers and education industry leaders, we have learned so much from the presentations and made tremendous contacts!" Read full article here. The STL Export Accelerator, the first accelerator in the St. Louis area to focus exclusively on exports, will grant non-dilutive seed money to local companies seeking to expand their footprint outside of the United States. The winners receive funding, training, mentoring and office space at one of STLVentureWorks’ innovation centers. This is the inaugural year for the export awards. Read full article here. As entrepreneurism and innovation continue to reshape the business landscape of greater St. Louis, the community came together at the region’s premier startup event, Startup Connection, on November 15 at Washington University in St. Louis. Startup Connection gives St. Louis’ top startups the opportunity to present their companies to a packed house of over 1,000 entrepreneurs, investors and other members of the innovation community. The event combines a startup showcase, resource fair, and is topped off with a fast-paced pitch session. Read full article here. The NSF provided 2016 grant recipients a 50% match on outside investment (not grants) secured during a 30-day window of time. Dr. Chris Nicastro, former Missouri Commissioner of Education and a member of the MathBRIX Advisory Board, has stepped up as the venture's first investor. From this point on, Dr. Nicastro has agreed to play a significant role in the marketing and evaluation of the MathBRIX products. Great news! The NSF Small Business Innovation Research (SBIR) program seeks to assist early-stage companies with innovative technologies that require additional R&D to advance commercialization. NSF SBIR provides equity-free grants to U.S.-based small businesses. 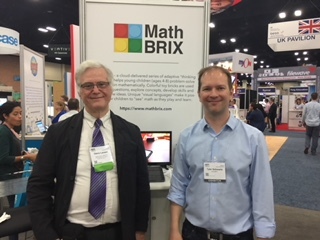 We are thrilled to say that MathBRIX was selected on its very first application! We're off to a fabulous start! Read full article here.